First Deputy Speaker of the House of Representatives, Hassan Karim al-Kaabi, on Wednesday, the need to benefit from external participation and involvement of the private sector, while called to stay away from considering the meeting of invitations and participation as mere briefings to attend only. 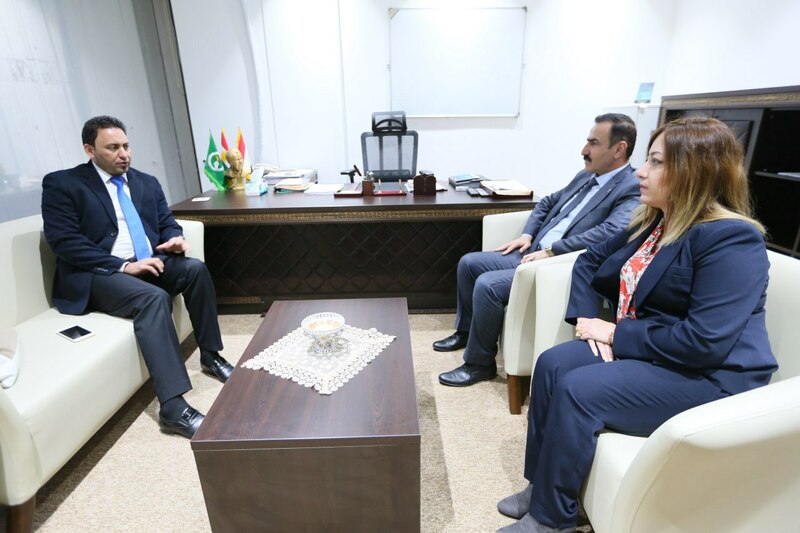 The Office of the Deputy Speaker of the Parliament, in a statement received / Mawazine News / copy, that "Al-Kaabi, visited the headquarters of the Patriotic Union of Kurdistan and the Kurdistan Democratic Party in the House of Representatives." Al-Kaabi pointed out that "the amendments that will be made to the rules of procedure of the House of Representatives and assigned to a special committee that will receive proposals and opinions from all departments of the Council, committees and blocs should be taken into account. "He said. He stressed the importance of taking advantage of the official external posts in an optimal manner and not just as briefings to attend a conference, workshops and symposia during which specific issues will be raised, pointing out "the importance of official and foreign official posts and the need to involve specialists in both public and private sectors."